The course, conducted entirely online, is being made available through the website www.climate.net, which is a global program that aims to educate the public about climate science, thereby increasing awareness of climate change related issues. The course content outlines the basics of climate science and modeling, which considers specific variables involving climate change in an attempt to paint a wider picture of the the possible effects on local ecosystems and weather patterns. In addition to having a greater understanding of climate science and modeling, this course on climate change will also allow for a deeper interpretation of the modeling results. 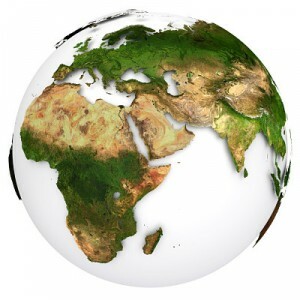 Once completed with an overall score of 90 percent or higher, there is also the option to take the advanced course titled “Constructing and Applying High Resolution Climate Scenarios.” This course is tutor-supported, allowing for insrtuctor feedback that enables the student to have a better grasp of the production and/or analysis of climate related data. This course is a wonderful opportunity for anyone looking to be better informed on the often confusing climate-related issues that dominate the daily news. And even better, it educates those looking to separate truth from fiction in regards to global warming, annual rainfall, and food security, all issues that underpin global poverty. Sustainably Grown Palm Oil: The Future of Fast Food?